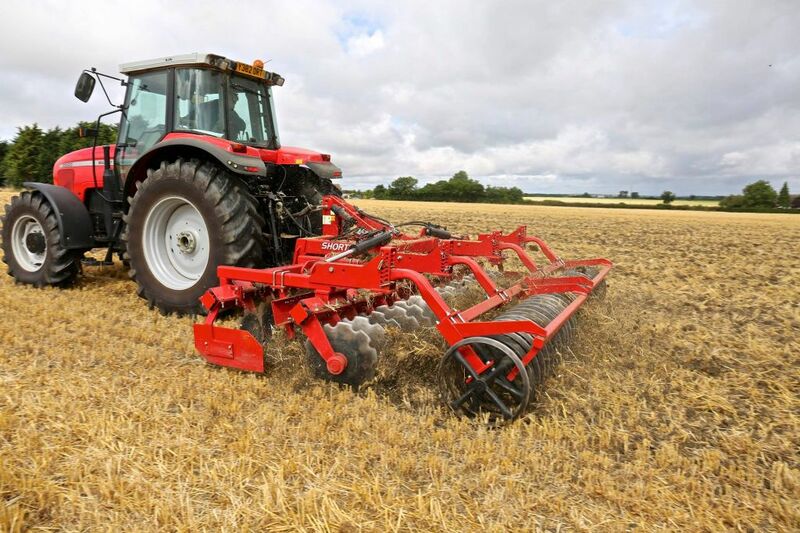 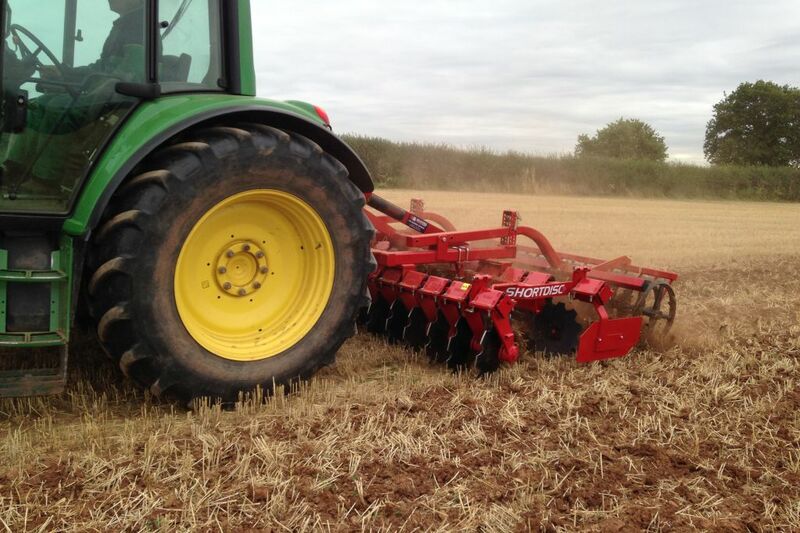 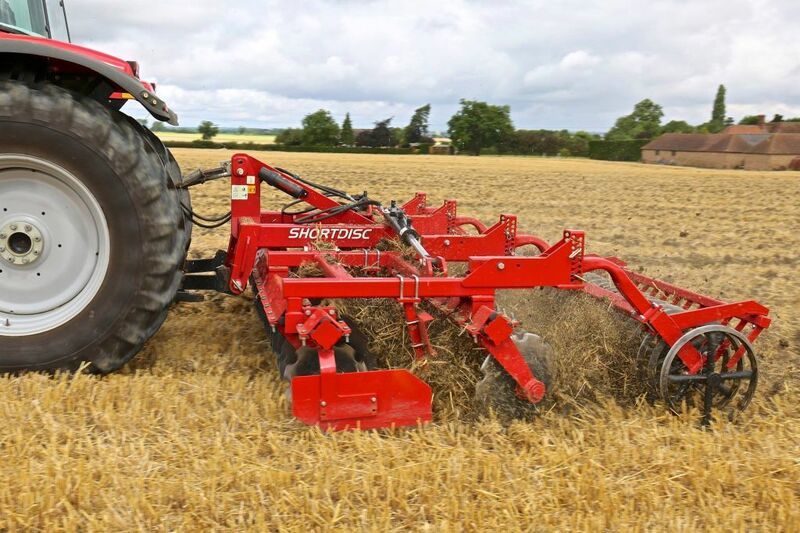 The Short Disc is the ideal levelling machine suitable for working in stubbles, plough & turf. A fast, economical cultivator perfect for chitting weed-seeds and volunteers at high work rates. Working depth is between 1.2cm (1/2") to 12.5cm (5"). With 2 rows of large diameter scalloped discs fitted with heavy duty sealed for life bearings mounted on rubber shock absorbers, followed by a full width 'V' ring roller to leave an even and level finish. 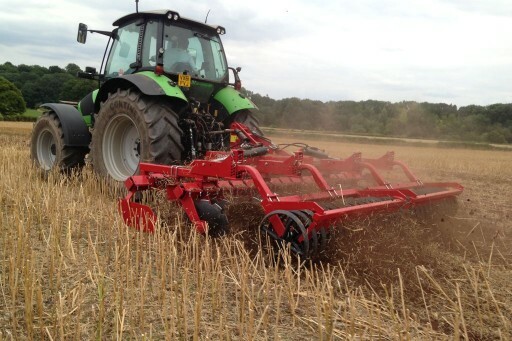 2 Rows of 560mm Ø scalloped discs mounted on rubber shock absorbers, side boards and a full width 600mm Ø 'V' ring roller. Hydraulic transport safety lock for folding models.